The Wii U is about to receive its second Legend of Zelda HD remaster. Following the success of The Wind Waker HD, we now have Twilight Princess HD on the way to share the decade-old GameCube / launch Wii title with a new audience. We think that the upcoming release is an excellent effort, with Tantalus Media now joining the ranks of external developers that have demonstrated the skills and sensitivity to modernise a highly-regarded Nintendo game for the HD age. Ahead of its release we've been fortunate enough to pose some questions to two key figures in both the original and new versions of the game. Series lead Mr. Eiji Aonuma (Director of the originals and Producer of the Wii U version) was joined by Ms. Tomomi Sano (Assistant Director of the Wii U version) to answer some questions about the new entry - we covered topics such as the motivation for this particular remake, the challenges the development team encountered and, of course, the implementation of amiibo. 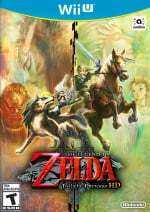 Can you discuss some of the thought processes behind producing a HD remaster of The Legend of Zelda: Twilight Princess? Aonuma: This was quite some time ago now, but back when we were discussing the direction to take with the art style for the new Zelda game on Wii U, we tried experimenting with what past Zelda games would look like in HD. Although it wasn't our original intention, we found some of them worked especially well in HD and we decided to create remakes for them. As you know, The Wind Waker HD was the first of these. We wanted to continue straight on and make the Twilight Princess HD remake, but it was around this point that work on the new Zelda game on Wii U really started and so the Zelda team was needed for that instead. So we started looking for somewhere that we could trust to handle this project and found Tantalus, who have a good reputation with producing remakes. With their help, we finally managed to complete Twilight Princess HD. Many that played the original were likely most familiar with the Wii version, which mirrored the GameCube original and utilised motion controls. In using mostly physical inputs and the left-handed Link / original layout, do you believe this recreation of the GameCube original is a key part of this title's appeal to Wii U owners? If so, why do you think that is? When creating a remake, I think it is important that the game makes good use of the specific features of the new platform. That's why I wanted the gameplay to make use of the key feature of the Wii U, the Wii U GamePad. Aonuma: When creating a remake, I think it is important that the game makes good use of the specific features of the new platform. That's why I wanted the gameplay to make use of the key feature of the Wii U, the Wii U GamePad. Since the button layout on the GamePad is very similar to the GameCube, I decided that we should use the control scheme from the GameCube version. Also, since the GameCube version output the picture with the 4:3 aspect ratio of older TVs, I thought that the impact of the remake would be enhanced further by making this version into HD with a 16:9 ratio. Rather like The Legend of Zelda: Wind Waker HD the Wii U GamePad features a map and inventory screen, but also gyroscope controls for aiming in first-person (with a bow and arrow, for example). Did the template established by previous remasters on 3DS and Wii U make the task easier here, and were there any GamePad ideas that didn't make the final cut? Aonuma: As you say, most of the Zelda remakes were designed to use two screens and motion controls. So by now we have a very good understanding how these help make the games more user friendly and we had little hesitation in including them in the initial design stage. However, since the original games were made to take advantage of the specific features of the hardware they first appeared on, if we tried to follow a single template for each of the remakes, we would get all kinds of new problems. So it is not all that straightforward. From our experience the game looks sharp and runs smoothly as expected, but can you definitively clarify the native resolution and target framerate, and talk about why these were important for the experience? Aonuma: The original framerate was 30fps. We decided to stay faithful in the remake and kept it as is. There wasn't any pressure that forced us to do so, we just wanted to make sure that the gameplay still felt the same as in the original. Still, we have adjusted the speed of a number of cutscenes that appeared a bit slow when looking at them now. Sano: The resolution is 1080p. Not only does it make the game look better, you can now also make out far away enemies and objects much more easily, helping make the game more user friendly than before. Some improved textures and lighting feature in this HD remaster of the game. Were any of these enhancements particularly challenging to implement, and what features stand out for you as notable improvements over the originals? Aonuma: Swimming in particular stands out for me. 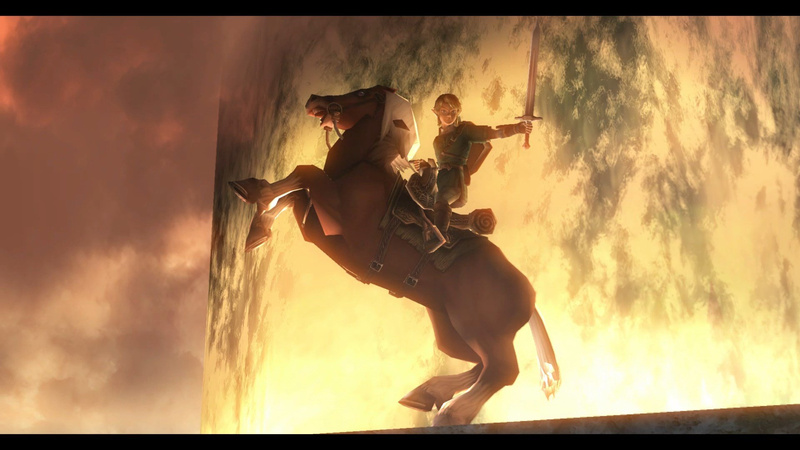 Throughout the Zelda series, including Twilight Princess, we have often used underwater gameplay as a contrast to playing on land. For underwater sections, you need to make the movements heavier to replicate the effect of the water pressure, and this tends to make the gameplay a bit more stressful. We've long been trying to find a ways to reduce that feeling of stress. Although we gave this a lot of thought when we were making the original in the first place, when it came to this remake I still felt there was room for improvement. So we did our best to make this as stress free as possible this time. We had to strike a balance between the parts where we could be precise and the parts where we tried not to make things too clear. We worked hard to make the graphics look really nice while still preserving the feel of the original. Sano: We also went through a lot of trial and error with the graphics. When we created more precise models of objects to go with the higher resolution, we found that everything was too clear and we lost that soft and delicate atmosphere that you get in particular at twilight or with the light in a forest. We had to strike a balance between the parts where we could be precise and the parts where we tried not to make things too clear. We worked hard to make the graphics look really nice while still preserving the feel of the original. One addition we noticed early on are dungeon chests that hold stamps for the Hylian alphabet. What inspired this inclusion, and do you hope to see fans embrace this both in Miiverse and more broadly online? Sano: There were lots of treasure chests placed around the world of Twilight Princess, but most of them just contained rupees. By placing lots of different items inside them, it makes it more exciting for players when they open one, and if it's something they can actually use, that's even better. So we decided to put in stamps that can be used in Miiverse. We thought about what kind of things players would be able to use while talking to each other and would actually be useful to them, and in the end this led us to settle on pictures of the characters with different expressions as well as the Hylian alphabet. We also tried to find the right size for these stamps so that they are perfect both for using and viewing, and we hope you will have fun trying them out in Miiverse. The use of amiibo is a notable inclusion in this HD remaster. With Wolf Link unlocking a new challenge area and also providing a shortcut to load save games, and other Zelda-themed amiibo having functionality of their own - can you talk us through the design approach with these features, including how you settled on this final functionality? 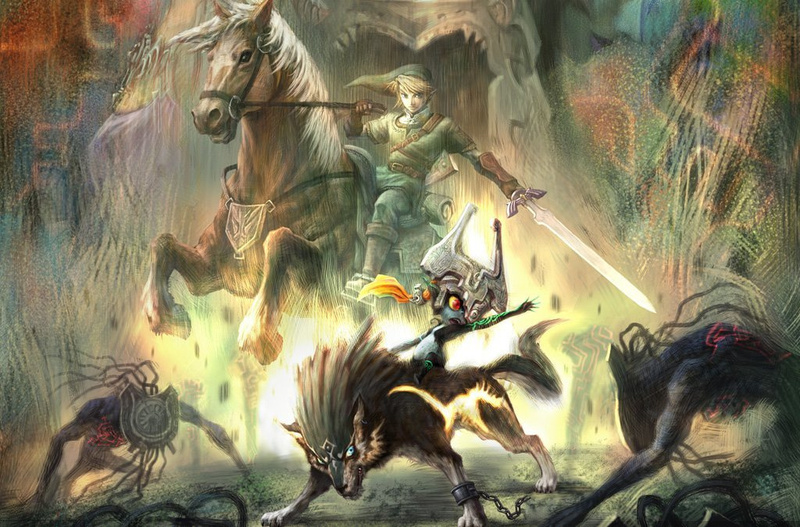 Sano: Wolf Link and Midna both have distinctive designs and are popular characters with fans. If players buy an amiibo, they expect an appropriate in-game bonus for doing so, so I thought that something related to Link's wolf form would work well. While brainstorming a few ideas, we had the realization that some of the enemies designed to be fought as human Link could also be defeated while in wolf form. We thought that maybe we could create a place where you could have some exciting battles against combinations of those enemies. I also thought it would be nice if players who have any of the Zelda-related amiibo already released also got some kind of in-game bonus too. So we made it so that if you use these amiibo while playing, you can receive some bonuses that help you out if you are in trouble. However, the Ganondorf amiibo still posed a bit of a problem. Even though it's still an amiibo, it's hard to imagine Ganondorf helping Link in any way. After giving it a lot of thought, I feel that in the end we managed to come up with a solution that provides a worthy challenge to players. 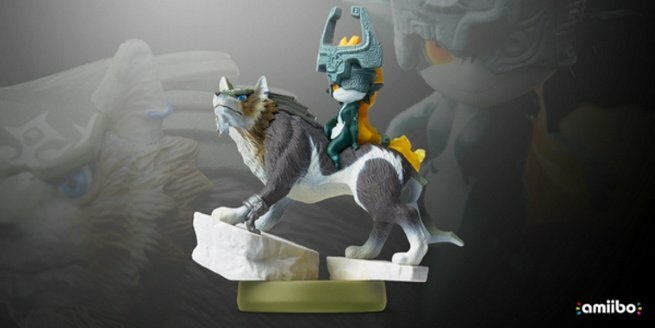 The Wolf Link amiibo has certainly earned some praise for its physical design; do you think it'll stand the test of time as one of the more desirable amiibo figures, and were there any other poses of the characters which you considered? 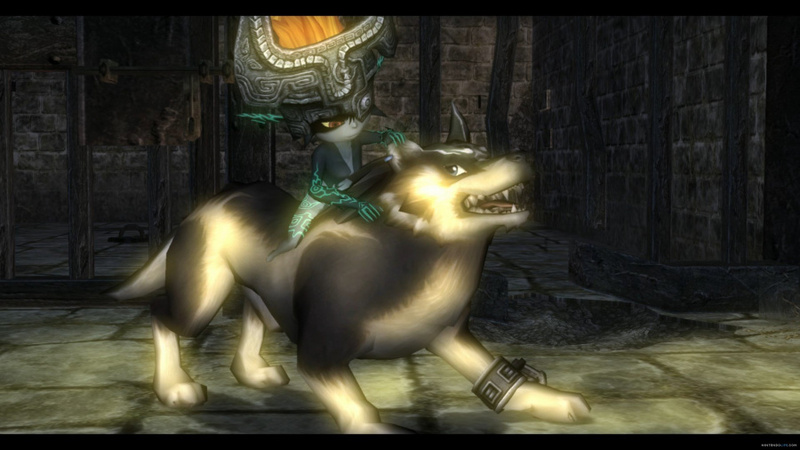 Twilight Princess originally arrived late on the GameCube and as a Wii launch title in 2006. As it's the 10th year since that launch, can we conclude with your thoughts on what makes it a particularly notable, important entry in the series, and why you feel it'll resonate with the Wii U audience in its HD form? I think that maybe the setting of the game somehow appeals to the kind of people who wouldn't normally be interested in this type of game. Aonuma: This is a very difficult question. There's lots of different things that make Twilight Princess an important title, and I don't have a single conclusive answer for you. However, there was one thing rather personal to me that stands out. Until the original version was released, my wife had never shown any interest in playing any of the games I'd made. But all of a sudden, without any encouragement from me at all, she played through the whole of Twilight Princess together with our son, who was just three at the time. I asked her why she decided to play and she replied that she thought the game would be too difficult for our son to play by himself, so at first she wanted to help him by playing through the first part of the game for him. Before she realized it though, she found that she wanted to play through to the end herself. I think that maybe the setting of the game somehow appeals to the kind of people who wouldn't normally be interested in this type of game. Even my son, who at the time was too scared of the Imp Poes to play the game has recently played through the Wii version. I didn't have to encourage him to either, he said that he just thought that maybe now he'd be able to play though to the end. I think that maybe this game has something to it that means you can play it even now without the game feeling too dated. And I think that is even more true with this HD version where you can experience the setting much more vividly. I hope that both people who played the original and those who didn't will be able to really enjoy delving into the game's world in this new version. (I'm quite sad that I wasn't able to tell my son that if he waited a little bit longer then he'd be able to play an HD version, haha. We'd like to thank Eiji Aonuma and Tomomi Sano for their time. "When we created more precise models of objects to go with the higher resolution, we found that everything was too clear and we lost that soft and delicate atmosphere that you get in particular at twilight or with the light in a forest. We had to strike a balance between the parts where we could be precise and the parts where we tried not to make things too clear. We worked hard to make the graphics look really nice while still preserving the feel of the original." @ThomasBW84 How did you talk with Aonuma-San? That must have been very exciting. Fascinating! Wonderful to see how much passion Mr Aonuma has. So Aonuma wasn't even able to tell his own son that he was working on an HD version? Wow, Nintendo is really serious about preventing leaked information!! Nice interview really looking forward too playing thru TP again but the definitive version this time. Great interview, nice job NL! You have built up the hype nicely, I can't wait for Friday to come! Very nice interview, I enjoyed reading that.